Following the recent launch of the Thomas Cook Group’s unification of its brands and one common symbol, the ‘Sunny Heart’, Thomas Cook Airlines has announced that its first Airbus A321 (MSN5872) is in final assembly at the Airbus Hamburg plant. Do you have an old aircraft that needs visually updating in the interior? Or a brand new plane that wants to look different? 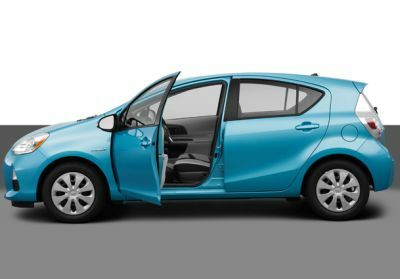 Chameleon Products new technology can change the way an interior looks with its decorative film technology and save weight into the bargain. From 22 December, First Capital Connect will double Thameslink route services to and from Gatwick Airport on a Sunday with four trains an hour between Gatwick to London and on to Luton and Bedford. 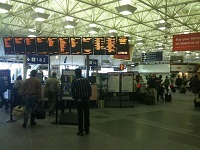 However, passengers are being reminded that the Thameslink route between East Croydon and Gatwick will be closed from 27 December 2013 to 1 January 2014 inclusive for improvement work by Network Rail, adding 70-90 minutes to their journeys (see BTN 14 October re Gatwick Express). It has long been something lacking for residents, and a surprise for visitors used to 24-hour Metro services in other international cities, but the London Underground (LU) has until now gone to sleep by one in the morning. This is all to change from 2015. Nando’s is the latest restaurant chain to sign up at Gatwick; its first ever airport offering will see the outlet join 13 existing eateries when it opens next summer in the South Terminal. Nando’s Gatwick will operate approximately 20 hours a day between the hours of 04:00 and 24:00 for passengers to enjoy meals for breakfast, lunch or dinner before they fly. Two events took place last Tuesday (19 November) which helped once again to focus on the struggle that the air transport industry has in persuading the government of its importance. Years after it closed the popular sales shop at the lower end of Regent Street (and jabs clinic too) British Airways is back in what some people like to call the centre of the known World. 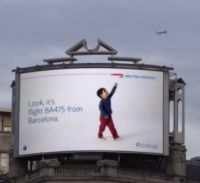 Together with advertising agency Ogilvy they have created what must be the ultimate in billboards high up in Piccadilly Circus, one that actually identifies its planes as they fly overhead. It certainly meets the definitive goal of advertising in getting customers to remember and ultimately purchase a product or service. The annual Aviators Ball takes place at Heathrow’s Sofitel Hotel next Saturday (30 November) with just a few places still available. It is a unique bringing together of the civilian, military and corporate sectors. 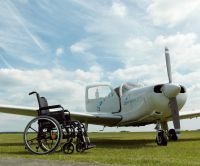 An evening of fun and fundraising is all in aid of the charity Aerobility, the flight training organisation for individuals with disabilities. Still called the 777X, Boeing’s new incarnation of the world’s most successful wide-bodied twin jet is likely to be given an official title in 2015 when the aeroplane’s firm specification is released. The detailed design should be complete by 2016. On 10 November Biman Bangladesh Airlines retired its penultimate Douglas DC-10 and announced plans for ‘farewell’ flights in its final example. This is now the world’s last flying passenger configured DC10-30 and is due to complete its final scheduled flights on 7 December. It will be on standby until February 2014 when it will be replaced by Biman’s new Boeing 777-300ER. The aircraft, S2-ACR, will then be donated to an unnamed museum in the USA – but not before nostalgic passengers have a last chance to take a final flight. Whilst campaigners argue whether the EU needs two venues for its Parliament, one each in Belgium and France, easyJet has decided that both need flights from Gatwick. Wyndham Hotel Group has unveiled a new hotel prototype, called Hawthorn Suites, intended essentially to enhance the overall guest experience while reducing development costs for franchisees. The recently formed Ryanair Pilot Group (RPG) has called for the airline’s Chief Executive Michael O’Leary to honour previous promises of official recognition. Mr O’Leary had previously said that he would recognise a unionised group if they represented more than 50% of aircrew. RPG says that it has reached that minimum. 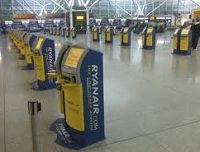 Ryanair has announced that it will offer 12 new destinations from Stansted in April 2014 as well as adding frequencies on 17 existing routes. 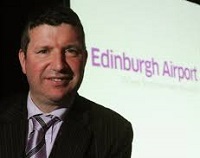 The airport was purchased by MAG (Manchester Airports Group) in January of this year. Mega airliner orders, a brand new airport venue and sandstorms combined to make this year’s Dubai AirShow a memorable one Alison Chambers reports. Some 60,692 visitors attended the biennial five day event which actually turned out to be a four-day show as torrential rain and flooding in the exhibition hall brought a dramatic end to the proceedings on Thursday. The opening day (Sunday 17 November 2014), when the big three – Emirates. Etihad and Qatar Airways announced record orders with Boeing and Airbus in quick succession, brought sandstorms and the flying display was cancelled. What is the future for whoever placed this advertisement? 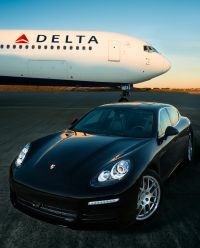 First trailed at Atlanta, Delta Air Lines has expanded its successful customer Porsche vehicle pick-up service to Los Angeles International Airport, New York John F. Kennedy and Minneapolis/St Paul International Airport. With United Airlines already announcing daily summer flights to Chicago (see BTN 23 September) from 23 May 2014 Philadelphia and Qatar are to have direct services from the Scottish capital. Deep Blue Apartments have launched an Earls Court (London) property tying in with the introduction of a new ‘Flying Butler’ website. 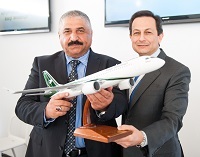 With flight-testing continuing after the type’s maiden flight on 19 September Iraqi Airways has become the latest airline to sign Letters of Intent for the Bombardier CSeries jet. 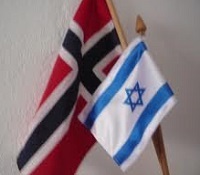 Norwegian has removed the planned operational schedule for Gatwick – Tel Aviv. (See BTN 28 October) Evidently the airline has had second thoughts in competing with British Airways (Heathrow), easyJet (Luton and Manchester) and El Al (Heathrow and Luton). Scandinavian Airlines is expanding its regional network and launching further direct routes from the UK starting 31 March 2014. In the run up to the Thanksgiving holidays in the USA, Southwest Airlines has become the first airline to allow passengers to use small portable electronic devices (PEDs) in ‘aeroplane mode’ from gate to gate.